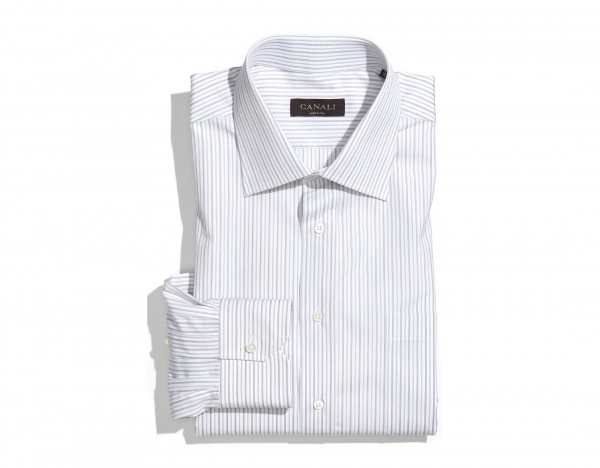 Canali puts together this very stylish beige stripe regular fit dress shirt. Stylish yet restrained, this shirt is a smart option perfect for the office. A nice shirt that will bring out the blue of a navy suit, or emphasize the seriousness of charcoal, this versatile shirt is available online now.